Not that long ago I had the curious good fortune to acquire, by means #0 most assuredly would not approve of me discussing, a rather unique vantage point. One which has me both constantly busy and also so idle I hardly know what to do with my time. Such a perspective leads you to noticing certain things, like for instance how precisely America controls it's self-unaware citizens and gets them to- again and again- vote against their own best interests and in the favor of the Corporations that now have more powerful civil rights than they do. Not that private interest was particularly weak BEFORE the Supreme Court more or less said they had a constitutional right to buy political candidates. Don't slap yourselves on the back, though, International Community- most of your governments tend to do the same things to similar results. In fact, one tactic has been SO successful that they've bought it in bulk and are putting it before the United Nations. Red Herrings are the political McBurger, they even don't have to be particularly good to get people to buy them. Ideally Red Herrings that are dramatic but at best/worst simply make things a touch more difficult for poor people while protecting lucrative business opportunities from worrisome public scrutiny or opposition. Meanwhile with Net Neutrality more or or less dead in the U.S. the corporations that stand to profit now set their sights on this hated enemy on an international stage. They've learned that if Net Neutrality becomes a dominant topic, then the public can be rallied to interfere because sadly there are enough people who understand its importance to do so. 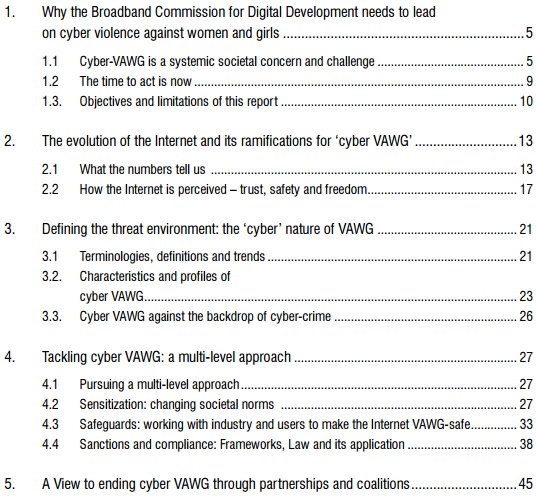 From the CYBER-VAWG report HERE. Have YOU been the VICTIM of CYBER VIOLENCE?! I know I have, as- I believe- just about anyone who has played an online Player-Versus-Player game that has made the mistake of allowing combatants to speak to each other. Oh, wait, I forgot to ask the important question. Are you female? No? Ok, well, you don't count then. MEN can TAKE such abuse, Women however are so sensitive to the bad words and hollow threats on the Internet that only MEN can handle (There is no Cyber Violence Against People Report) that apparently that we must relabel it CYBER VIOLENCE and PURGE it from the internet to protect their delicate sensibilities. Oh, does that sound sexist? Damselling perhaps? Well, we'll just have to find some women who've made their careers on selling this concept, and have them do it for us. We'll put them before the U.N. It's only internalized patriarchy if it goes against the media narrative. Oh, look, there they are. I am particularly disappointed that for someone who made their initial videos under the supposed intent to fight the trope of reducing women to being Damsels in Distress in video games, Ms. Sarkeesian jumped on the effort to Damsel them in real life and DAMSEL THEM HARD. 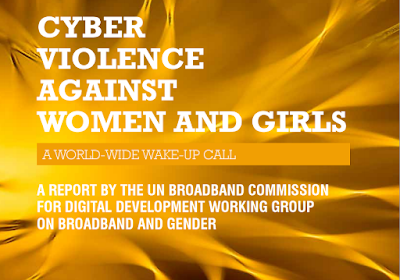 WON'T YOU DEFEND THEM AGAINST CYBER-VAWG?! Well, problem solved. The forces behind this know the topic can be useful and profitable for all involved- except the average citizen. It's proven! 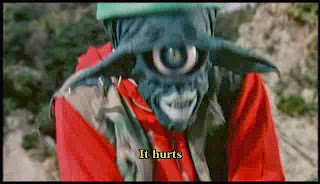 I mean, look back at the shambling horror that was GamerGate. Tremendous potential to reform internet 'journalism' shut down with the blanket generalization that everyone not venomously opposed to GamerGate and anything it had to say was a Misogynistic Shitlord who must be destroyed to protect women. Do you think this is a distraction? A Red Herring to keep the people hyped up and fighting for the emotionally charged and 'clearly' visible RIGHT side? While vastly shadier but less dramatic transactions get slipped past in the noise? WHY DO YOU HATE WOMEN AND GIRLS?! Bam. Attention wonderfully drawn away from where the money will be made at the expense of the lower classes, starting from the upper-middle I might note. I detest unnecessary (actual) violence. Fake violence is grand, because thus far fake violence is decades away from posing any scientifically verifiable threat to human life in any capacity- and words, however mean spirited or in poor taste, do not even qualify for that. Mind you, civility on the internet could stand to be improved considerably. Just... Well, for everyone. Also it's not ACTUALLY a matter of life and death. If the U.N. and U.S.A. want to tighten the laws on stalking regardless of gender, that would be lovely. I believe we already have laws against what these CYBER-VAWGers threaten to do. 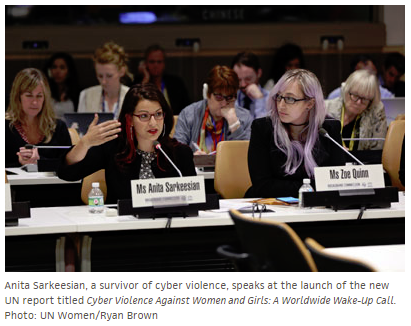 Meanwhile CYBER-VAWG sounds like a terrible monster indeed. 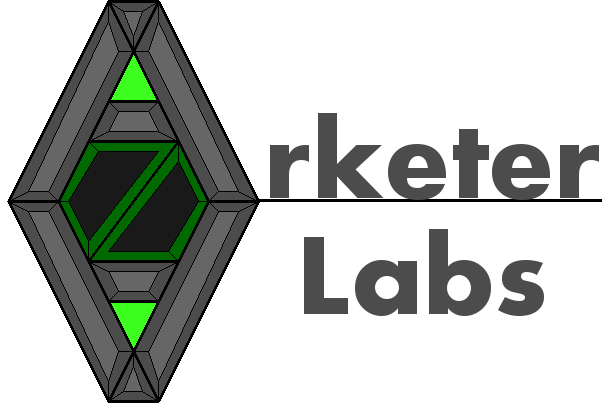 Right at home in the lazy Sci-Fi of your choice. Wait- didn't I see that in an episode of 'Starbarians'? No, I must have been mistaken.